The Town of Alsip needed a special play space for its Apollo Park. Named after the Apollo space program, the playground originally featured an outer space theme, but had long since been replaced by more conventional equipment. 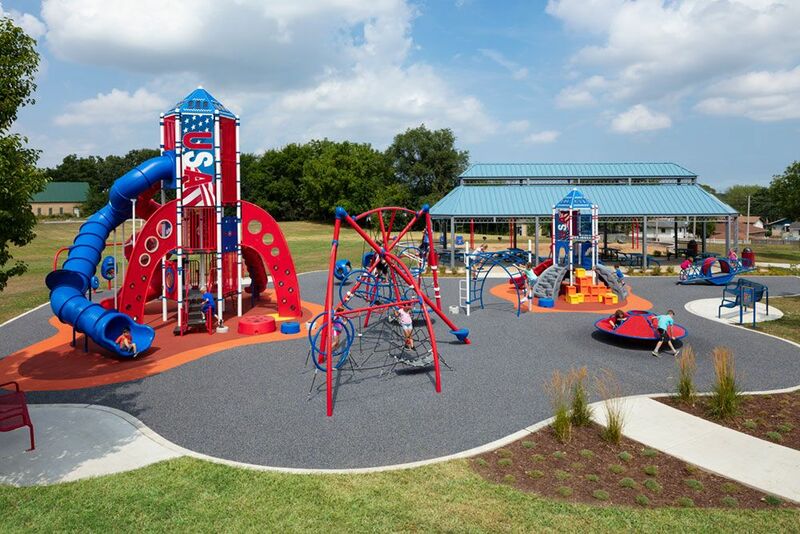 Playworld representative Reese Recreation helped Apollo Park get back to its roots, but with a modern twist—much of the new equipment is accessible for all abilities. Featuring two rocket-themed structures, a NEOS Arc, and several items from our Unity collection, Apollo’s new playground is an exciting place for all future space explorers!